From medicine to medical issues, we have resources available. Autism and its Medical Management by Michael G. Chez MD. 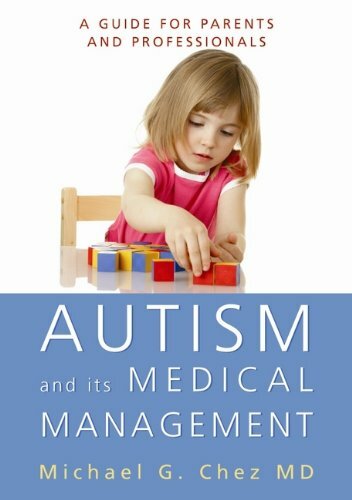 This book explains the medical aspects of autism and how both parents and professionals can use current medical knowledge to better understand how to address the medical aspects of autism. Pp. 222. If available, item can be checked out form the resource room at no cost. Straight Talk about Psychiatric Medications for Kids by Timothy E. Wilens. This book covers issues such as when medication is the right choice, what the alternatives are, and if the chosen medications are safe for a growing child. It also contains information regarding advances in treating specific disorders, new ways of dealing with side effects and tips for saving money on prescriptions. Pp.310. Is This Your Child by Doris Rapp. 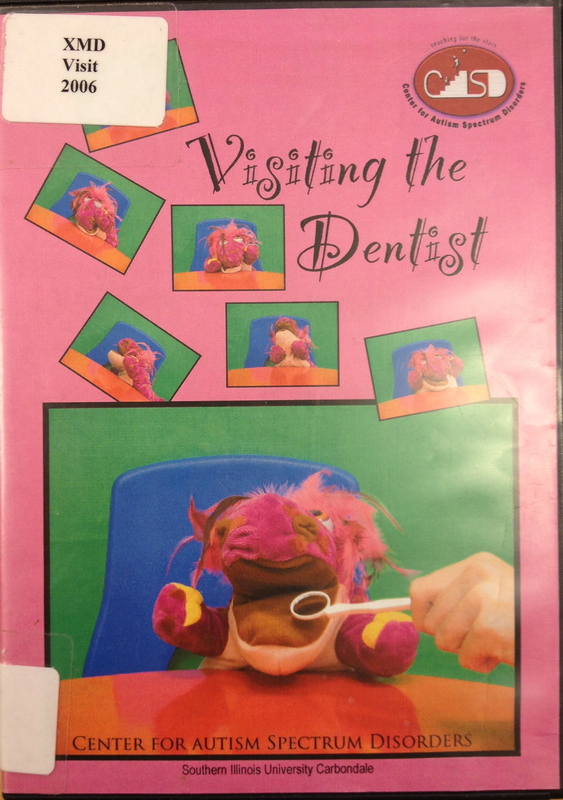 This book offers a simple yet effective approach to handling “problem” children. It shows parents how to identify the common foods, chemicals, or common allergic substances that could be the culprits that cause some children or adults to feel unwell or act inappropriately. Pp. 624. 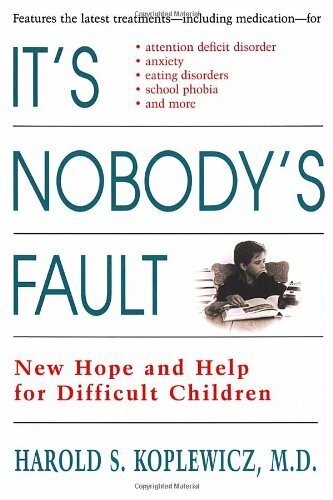 It’s Nobody’s Fault: New Hope and Help for Difficult Children and Their Parents by Harold KoplewiczIf. If your child has one of these “no-fault” brain disorders, it is simply the result of “DNA Roulette”; your child’s brain is wired differently because of his or her genetic makeup. Although you didn’t cause your child’s problem, you are responsible for getting him, or her, the right help – and this book will show you how. Pp. 320. This is a priming video designed to show children with autism some of the routines for visiting medical practitioners. 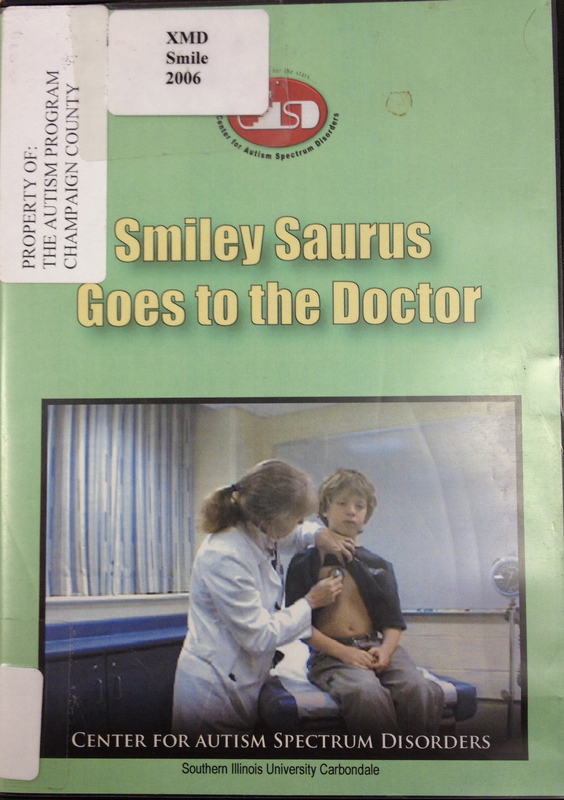 This DVD presents a typically developing child undergoing a basic physical examination. 9 minutes. Healing the New Childhood Epidemics by Kenneth Bock, MD, and Cameron Stauth. 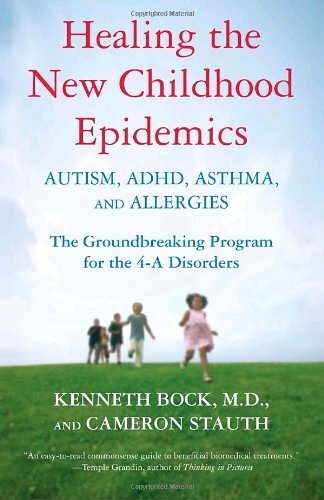 Almost half of all American children today are diagnosed with autism, ADHD, allergies or asthma, an “undeniably epidemic” statistic that physician Bock (The Road to Immunity) and author Stauth (Brain Longevity) use to launch an investigation into potential causes of and treatments for these conditions, while demonstrating Bock’s unusual approach through numerous case studies. Pp. 480. 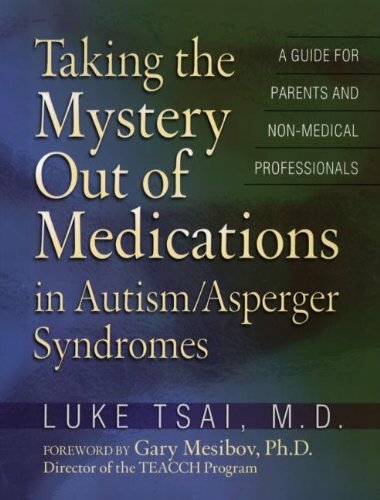 Taking the Mystery Out of Medications in Autism/Asperger Syndromes by Luke Tsai. 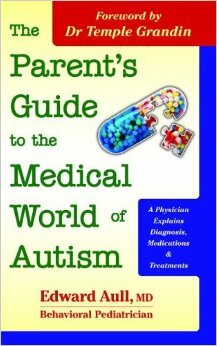 This book is a guide for parents and non-medical professionals. This book’s information is based on more than 20 years of clinical experience in working with and learning from more than one thousand individuals with autism spectrum disorder and their caregivers. Pp.387. 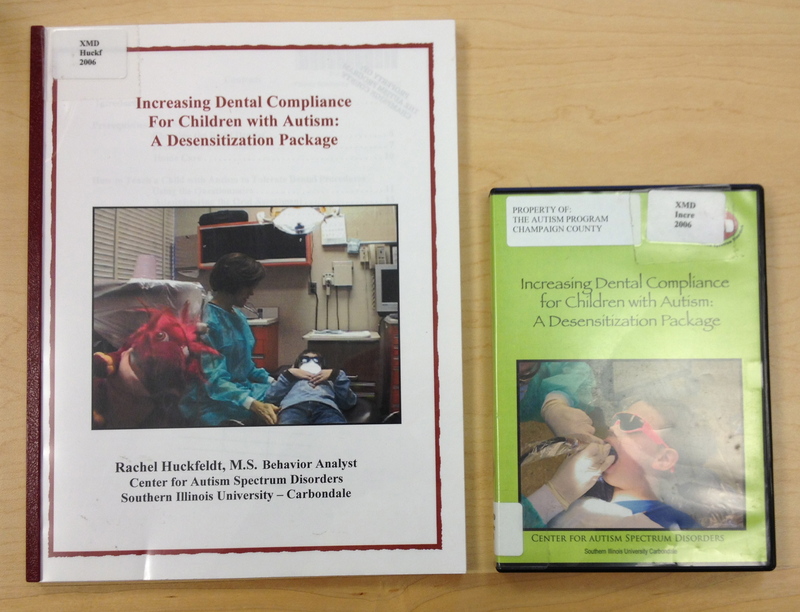 Healthcare for Children on the Autism Spectrum by Fred Volkmar & Lisa Weisner. A straightforward, clearly written compendium of up-to-date information regarding the healthcare of children with autism spectrum disorders (ASD) by one of the most knowledgeable child psychiatrists in the field and a practicing pediatrician, a particularly helpful combination. The information is conveyed in an understandable, approachable format, with sample questions and guidelines that should be empowering to parents in making the many decisions needed to determine the best treatment and education for their children with ASD. Pp. 375. Prescription for Success: Supporting Children with ASD in the Medical Environment by Jill Hudson. Designed to help make the medical experience easier for all involved, this book presents information on ASD, the varying developmental levels, interventions, and assessments that medical staff, parents, educators, and key service providers can use to more effectively interact with and support children with ASD while in the medical setting.